The British who came to Chile through the port of Valparaiso, a famous development center in those years, were the ones who came to promote horse racing in the English style in 1864. They established Valparaiso Sporting, the home of Latin-American horse racing, and the second racetrack of the Americas after Saratoga in New York. From there, horse racing grew like a whirlwind in Chile. In 1895, Valparaiso Sporting created the Chilean Stud Book, laying the foundation to the development and growth of the sport. Valparaiso Sporting desired a classic race of similar characteristics to the Epsom Derby, thus the “El Derby” from Chile was born. It was held for the first time as a great public celebration on October 25, 1885. Since its beginning, “El Derby” has been a family celebration where both horse racing and non-horse racing enthusiasts can enjoy equally. Even today, mere mention of its name recalls the big spectacle held every first Sunday of February, where 150,000 people gather. Today Valparaiso Sporting has positioned the Derby as its biggest horse racing event, incorporating the race throughout the city of Viña del Mar. 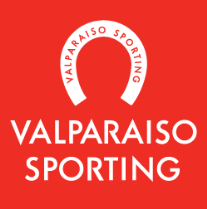 Valparaiso Sporting has also made racing digitally available through its daily shows broadcast in high definition around the country on the exclusive equestrian channel, Teletrak TV, and through off-track wagering facilities located in the main cities of the country. In addition, the television signal is broadcast to countries such as France, the United States, United Kingdom and Australia, to name a few. The building of a dirt racetrack in recent years has also been vital to the growth of Valparaiso Sporting and it proudly houses both a turf and dirt surface. In its 150 years, there are now more projects under development than ever before. Valparaiso Sporting … an experienced institution with a young soul.